On the surface, Google’s acquisition is the business equivalent of a platonic relationship. Google has affirmed multiple times that the acquisition is almost purely related to Motorola Mobility’s vast patent library. The company is estimated to have around 24,500 patents. With Google’s Android operating system coming under so much fire from Apple and Microsoft in terms of litigation, the Motorola acquisition has been billed as a defensive strategy. However, in any case where a major software developer acquires a major hardware developer that uses the same software, changes are bound to be seen in both companies. There are a few logical changes that can be expected from Motorola Mobility, even though the two companies are going to remain operating as separate entities. Of these changes, clues about the first one can be seen in Google’s release regarding the acquisition. The search giant stated that the acquisition “will bring Motorola Mobility’s hardware expertise closer to our software expertise — accelerating innovation.” This is interesting because, despite Motorola’s hardware consistently receiving rave reviews, users have complained of software issues on nearly every Motorola-built Android phone. Software development isn’t seen as Motorola’s strong suit, and this line by Google implies that they might have some quiet influence on how Motorola adapts the Android software for its devices. Another change that can be expected from Motorola Mobility in the coming year is tighter integration with Google for Android devices. Google won’t just influence Motorola’s software design; they’ll leverage Motorola’s hardware design as well. Google’s Nexus series of Android phones has been developed by Samsung during the last two iterations, and hardware complaints have been well-documented. By using Motorola as the manufacturer of future Nexus devices, Google will alleviate hardware complaints and move into a more vertically integrated model of Nexus phones. This will allow them to better compete with Apple’s iPhone, whose main advantage against Android is the vertical integration that Google currently lacks. Surprisingly, this change wouldn’t be entirely unprecedented. 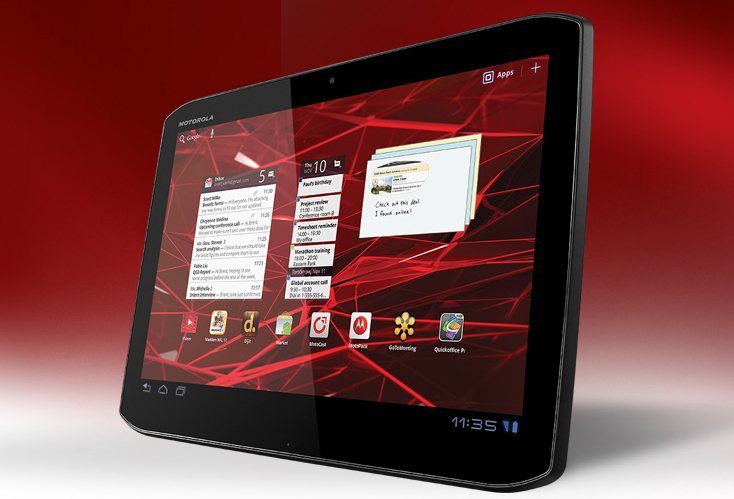 Last year, Google and Motorola worked closely together to release the Xoom tablet. Despite poor sales, the Xoom represented Google’s first move into the tablet sector and the first official release of Android that was optimized for tablets. The Xoom was well-received for how well the hardware and software worked together. Now that Motorola Mobility is owned by Google, it’s logical to expect that this kind of partnership will be extended into future tablets and Android phones. Despite this, one way that Google won’t change Motorola Mobility is by making them an exclusive partner in Android development. Google has stated numerous times that its desire is to keep as many Android manufacturers as possible, and showing preferential treatment to Motorola Mobility would counter this statement as well as Google’s overall goals for Android. Beyond working closely to develop future flagship Android devices, Google shouldn’t influence Motorola Mobility’s place in the Android world too strongly. Finally, one last change that the world can expect to see from Motorola Mobility is fewer devices. The company has already stepped forward and admitted that they flooded the Android phone market too strongly in 2011. Google has a reputation for keeping its software in beta for a lengthy time and only wanting to widely release products that have high stability and will be well-received. This statement by Motorola Mobility about releasing fewer devices can only be seen as a direct extension of Google’s corporate culture. Other changes will certainly be made to Motorola Mobility, although they may not present themselves for some time. Google’s desire is to keep Android open and leverage Motorola Mobility’s patents to protect the Android ecosystem. However, this doesn’t change the fact that Google spent more than $12 billion acquiring Motorola Mobility. No company spends this much money purchasing an entity and doesn’t make adjustments to improve its product line and profitability. It might take some time, but Google will have a strong influence on Motorola Mobility. I like your Googorola,Ya thanks Iam planning to perfer this, thanks for sharing…. Google is seriously chasing patents. It's rather uncomfortable to have all that power in the hands of one company, I think. Knowing the both of them work as partner, development in technology in the near future. One that may disappear is Motoblur UI. We will see all Motorola devices run on pure Android OS. However, we expect that the two companies will come up with the upcoming "Droid Nexus" devices with their stability, compatibility, good battery performance and less lag to compete with Apple's devices.. Very interesting analysis. I look forward to seeing how Google leverages Motorola Mobility in the coming months and works to compete with other cell phone manufacturers using the Android platform. I like your Googorola logo! Nice & Knowledgeable post. But i don't know what is benefit get Motorola from Google this changing.